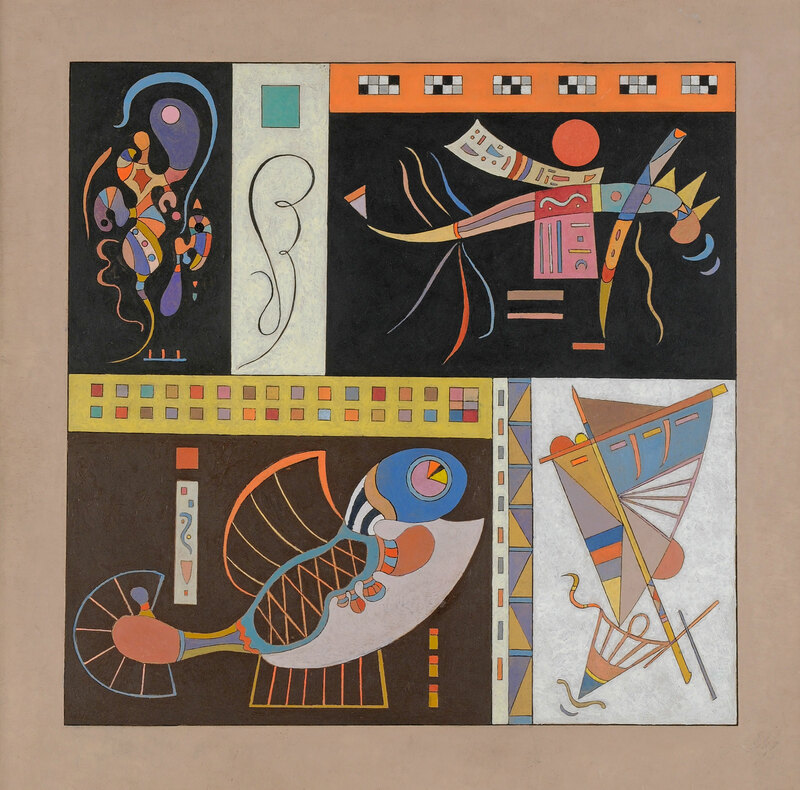 Having taken refuge in Paris after fleeing Germany, Kandinsky settled in Neuilly-sur-Seine with his wife. 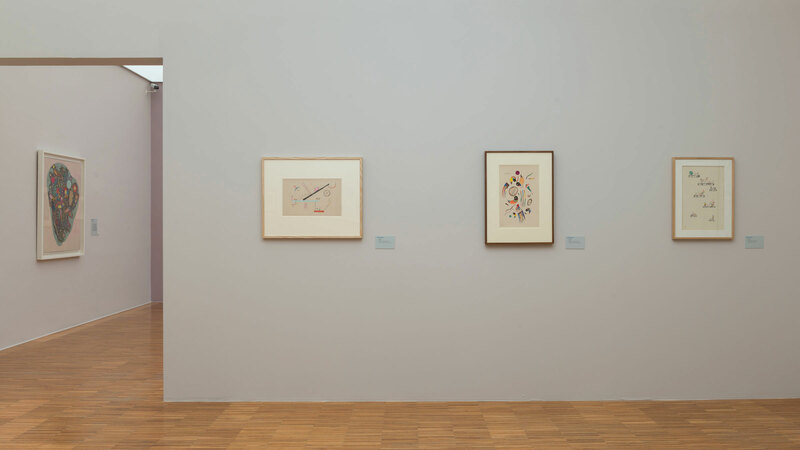 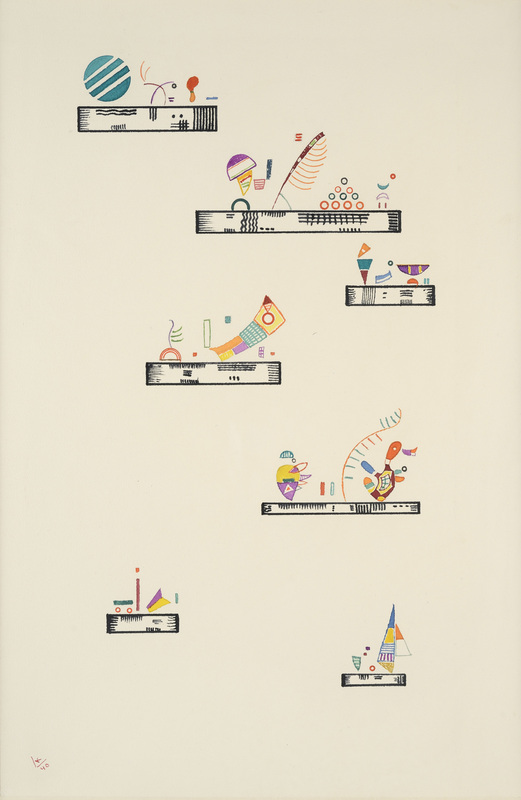 There he would develop a highly original style, a synthesis of the geometric vocabulary of his Bauhaus years and the aleatoric undulating drawings of the previous decade. 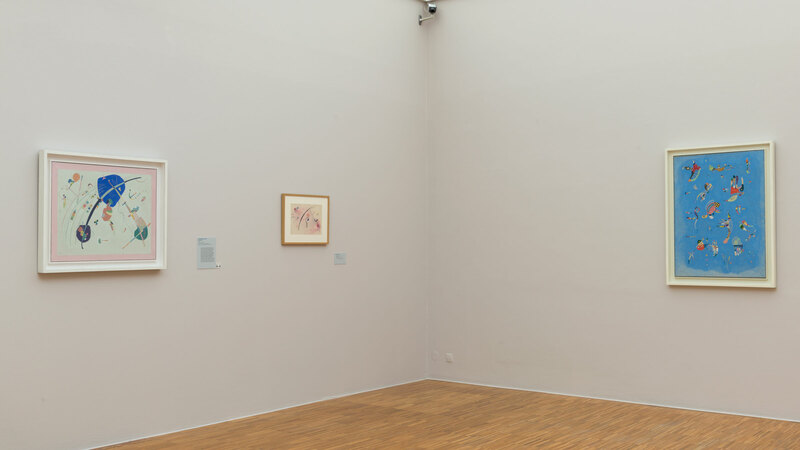 This period in the artist’s career remains the least known to the public. 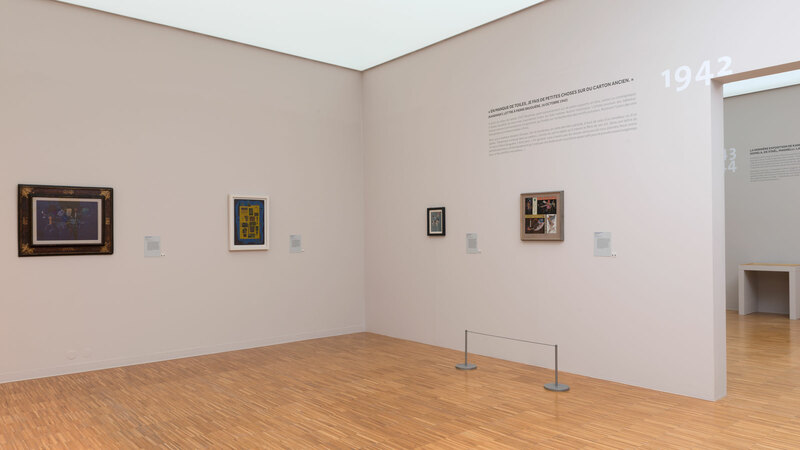 Enriched by his interactions with the Parisian artistic milieu, his increasing interest in science, and his heightened spirituality, it was also marked by a growing feeling of exile which deeply influenced his art. 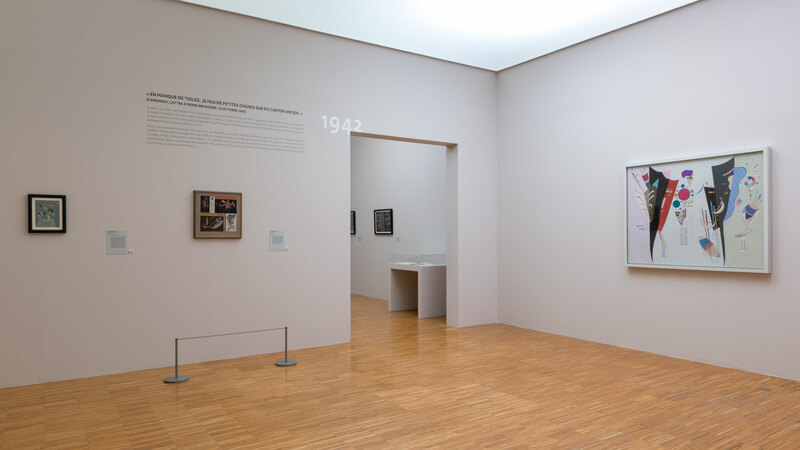 It is the interaction between these factors that the exhibition sets out to highlight. 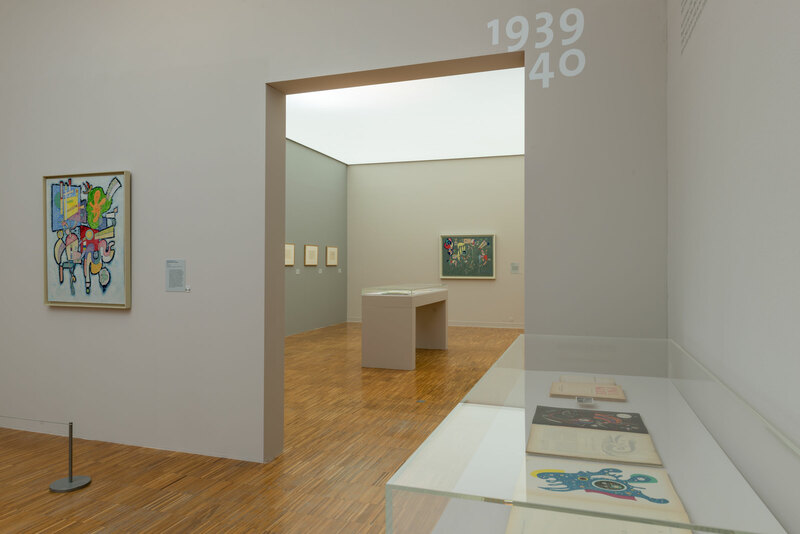 The exhibit’s chronological organization, which intersperses all the biographical moments that punctuated his life – meetings, exhibitions, publications, sales, and so forth – render perceptible how a political exile slowly became, especially after the outset of the war, an interior exile, inhabited by myriad artistic and autobiographical recollections.